Located in the heart of one of the world’s greatest cities, the University of Illinois at Chicago is a major research university dedicated to providing a world-class education for all of its students. As a university of national and international stature, UIC is committed to creating and disseminating new knowledge through its innovative curriculum. 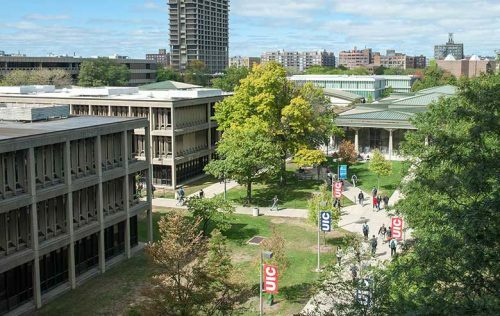 As the largest university in the Chicago area, UIC has over 25,000 students, 15 colleges, and research expenditures exceeding $300 million. Additionally, UIC is among the nation’s most diverse universities – a trait that the University of Illinois at Chicago is extremely proud of, and considers to be one of its greatest strengths. The University of Illinois at Chicago is committed to excellence in health care education. We are one of the few universities in the country to house each of the 6 medical disciplines on campus, including America’s largest medical school, one of the country’s premier Nursing Colleges, and highly acclaimed Colleges of Dentistry, Pharmacy, Applied Health and Public Health. 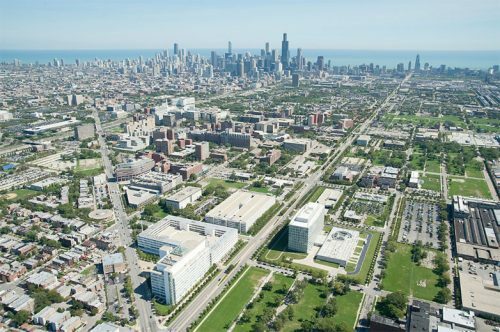 UIC is also one of the country’s top research universities, being designated by the Carnegie Foundation as 1 of only 96 “Very High” Research universities and placing among the top 50 federally funded research institutions nationally.